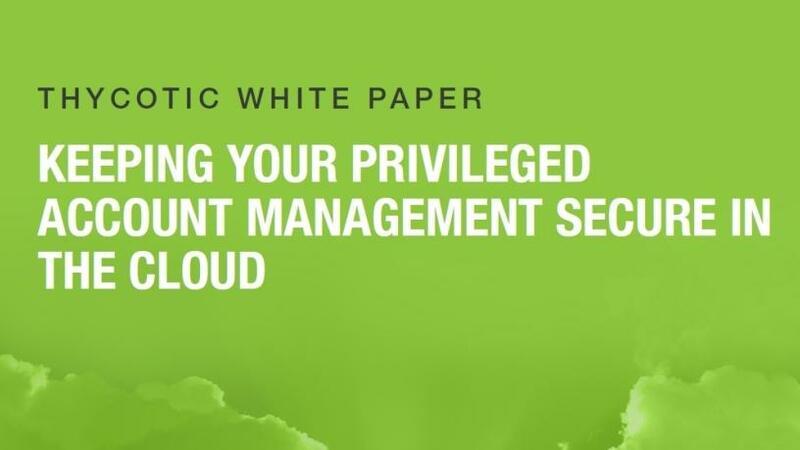 Keeping your privileged account management secure in the cloud. Companies across nearly every industry and product type are increasingly adopting cloud-based services. From telephones and project management tools, to file sharing and storage, the cloud enables businesses to rapidly deploy new services, processes and structures at an affordable cost. As the most used privileged account management (PAM) security solution, Thycotic recognises the need for a robust cloud-based PAM solution. Leveraging the global success of Secret Server PAM security, Thycotic has introduced Secret Server Cloud. This solution makes it possible for companies of all sizes to protect their privileged account passwords and access with a minimum of upfront expense and effort, which delivers a maximum of PAM security and compliance capabilities. This white paper helps to explain in more detail the security measures surrounding your Secret Server Cloud deployment.